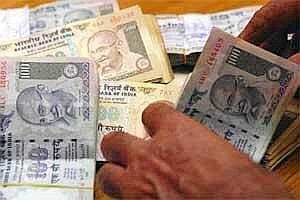 Two reasons got 2011 to pass uneventfully for the National Pension System (NPS). First, the government’s own ally Trinamool Congress sought more time from the Prime Minister to discuss the issue before passing the Pension Fund Regulatory and Development Authority Bill, 2011 (PFRDA Bill). Two, with less than 1 million subscribers, out of a workforce of at least 275 million in the unorganized sector, the participation is unimpressive. The report also suggested pension fund managers (PFMs) be allowed to distribute products, but indirectly. According to the report, PFMs have been the worst hit by the slow growth of NPS. This is because while the distributors, known as the points of presence (POPs), have other revenue streams and the Central Recordkeeping Agency, or CRA, has a captive government business, PFMs can only fall back on the funds received. Currently, the fund management charge is 0.0009% per annum and this hurts the PFMs if the corpus is small. The report suggested that PFMs be given a direct role in selling NPS but in order to preclude any chances of mis-selling, the committee recommended that PFMs be allowed to sell NPS indirectly through a POP in their larger company structure or by floating POP subsidiaries. However, these recommendations are expected to take shape only next year. Says Yogesh Agarwal, chairman, PFRDA: “We should be announcing the new guidelines by January next year." The regulator is also contemplating increasing the fund management charge (FMC). Says Biswajit Mohanty, managing director and CEO, SBI Pension Funds Pvt. Ltd: “The indication is that FMC will be rationalized so that fund managers make a small profit." The next 12 months may be crucial for NPS as important reforms are on the anvil. Meanwhile, PFRDA can focus on bringing about more transparency. To begin with, some fund managers do not display their net asset values since inception nor are the benchmarks or the portfolio disclosed. Says Agarwal: “We are constantly reviewing disclosures. But for now whatever needs to be disclosed is available on the websites of the PFMs." Though NPS is struggling to find its place on the investment plate, it has all the right ingredients to make it a palatable long-term retirement vehicle. As advised earlier, if you have a provident fund or superannuation plan with your employer, you do not need to invest in NPS. Those without access to such plans should look at NPS for long-term wealth creation.